I am a leaf on the wind--watch how I soar. Malcolm Reynolds’s crew shook the ’verse to its core when they laid bare the crimes against humanity undertaken by their sinister government—the Alliance. Always outlaws, Mal, a very pregnant Zoe, new pilot River Tam, and the other surviving crew members are in greater danger than ever. Meanwhile, everyone is asking the same question . . .
* Buffy’s Season 8 and 9 artist conquers the galaxy! 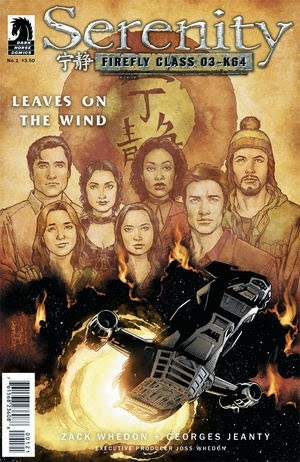 With Wash's final words as a subtitle, Serenity returns, this time as a comic book. I don't pay close attention to the ins and outs of the comic book industry, but when I heard the news last year that Dark Horse was publishing what is ostensibly the continuation of the now cult classic series and film, I was stoked. 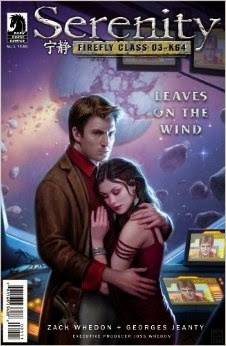 As it stands, Serenity: Leaves on the Wind is not terribly good ground to start from for those uninitiated to the Firefly universe. So, if you aren't familiar with the series, you'd best go find the first-and-only season of Firefly, then track down the movie Serenity. Thank me later. Fans of the series are bound to be pleased, though. Sure, there's a fair bit of prologue at the start of the book before we even get a glimpse of any of the main characters, but seeing the aftermath of Mal's exposure of the Alliance's dirty little secret was quite interesting. You know, the one about genocide and inadvertently creating the Reavers. 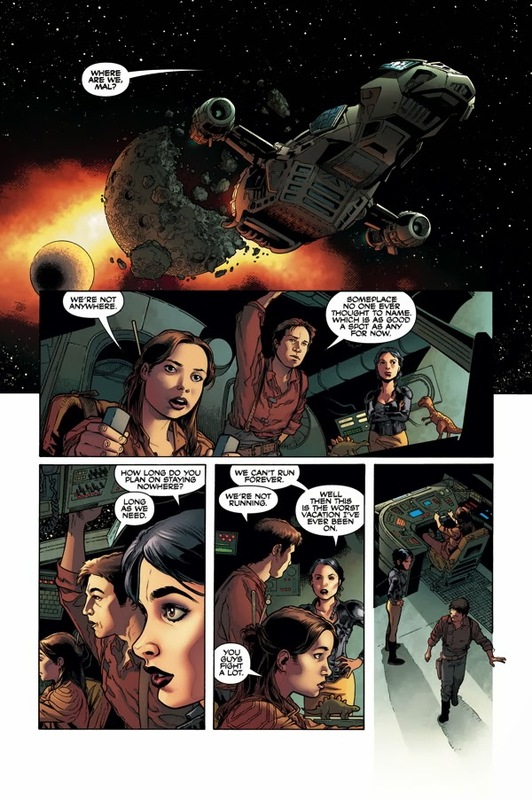 Already the spin doctors are at work in declaring them terrorists and hoaxers, while the Firefly crew remains in hiding with the Alliance hunting them down in every corner of the civilized universe, and a simmering rebellion begins a search of their own for Mal to take the reigns on an uprising. Seeing Mal, and River, and everyone in comic book form is the tiniest bit jarring if your memories are still fresh of the live-action versions of the characters. 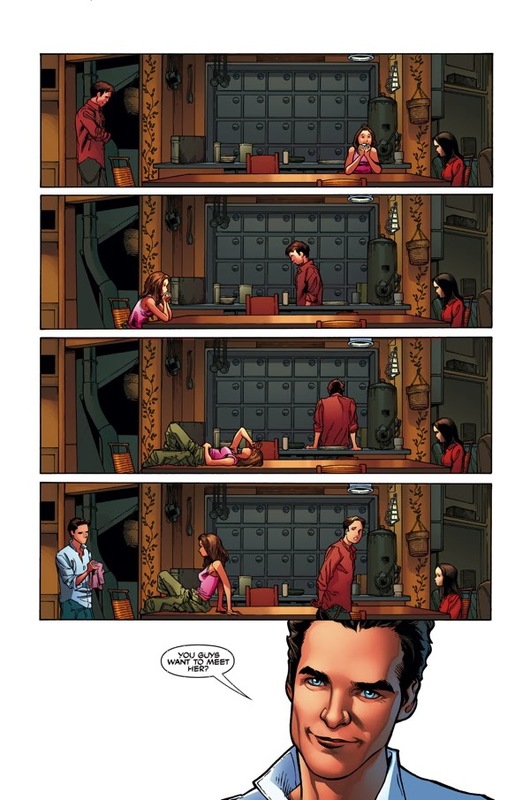 But the presentation from Zach Whedon and George Jeanty is handled remarkably well, and it takes but a single page to get back on the bandwagon and roped up in their outlaw antics. The dynamics of their relationships are irrevocably changed, given what happened in the movie--the absences of Wash and Preacher are still fresh--but there's plenty to look forward to, not the least of which is Zoe's pregnancy. Things are only getting warmed up in this first issue, but it bolsters confidence in what's to come. I'm especially eager to see what Jayne gets up to in the second issue.